Whether you need someone to stock cleaning supplies for your business facilities or need expert floor care advice regarding your warehouse flooring, you can always trust NLC Solutions for the best-in-class commercial cleaning services. We have helped a lot of businesses maintain clean business premises with a high level of hygiene standards over the years, so why not let us do the same for your business in Bridgewater? Situated in Somerset County, NJ, Bridgewater is a township that is home to more than 44,999 residents. Bridgewater borders with many municipalities, such as Somerville, Middle Brook Heights, Warren Township and more. Here, you can find both small and medium enterprises as well as large corporations which include pharmaceutical firms and financial service companies. Notable examples include Sanofi and Allergan. Floor Care in Bridgewater: We can perform both hard floor care and carpet care services and make sure that your flooring is maintained in the best possible way. Industrial Cleaning Services in Bridgewater: Whether you need restroom sanitizing services or vent cleanup, you can depend on our commercial cleaners for a job well done! Green Cleaning Services in Bridgewater: If you want to go green at your workplace, one of the best considerations you can make is to employ green cleaning methods which we specialize in. Cleaning Supplies in Bridgewater: Don’t let your cleaning supplies run low! Whether it's trash can liners or paper supplies, we have you covered with our on-demand warehousing expertise. Looking for the best commercial cleaners in Bridgewater? 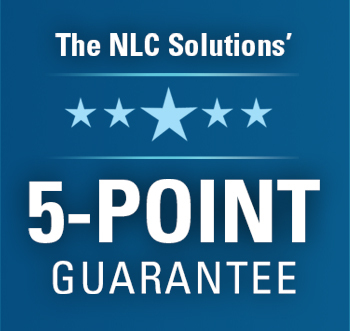 Phone us today at (908) 753-3900 or drop us an email at info@nlcsolutions.com for more details.